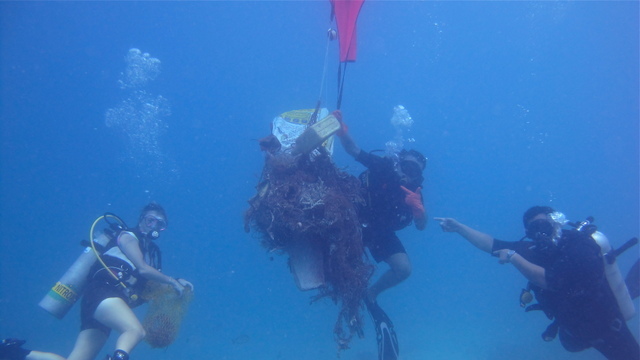 Phuket dive company Scuba Cat Diving organised an underwater clean-up at Racha Yai island on June 17, collecting a whopping 280 kg in 80 minutes of diving. The teams first headed to ‘Bay 4’ of Racha Yai Island, where they quickly set about retrieving a huge fishing net that had become entangled in the reefs. All the debris collected was registered with environmental group Project Aware to help them with their ongoing marine-based data collection. Mrs Kench said that the money raised through the event, after covering the cost of fuel, transport and food, would go to contributing to the organisation of future events.